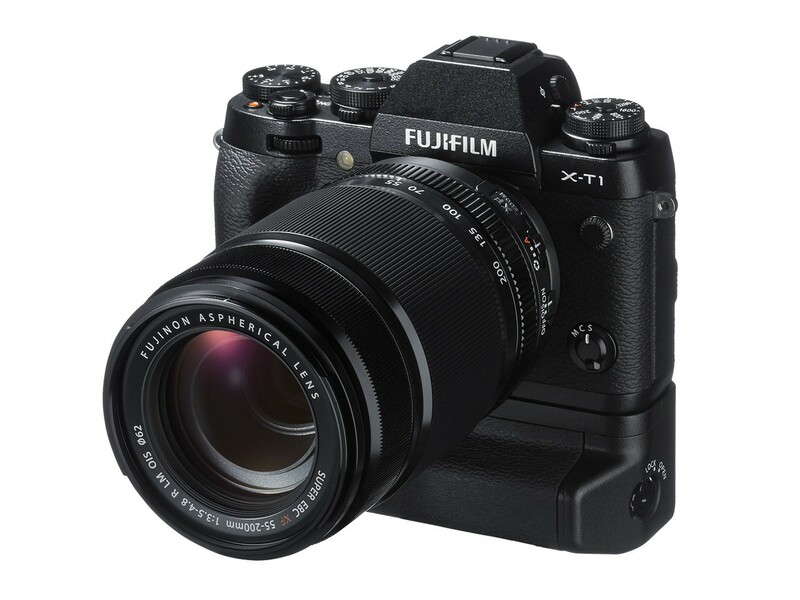 Fujifilm X-T1 Firmware Ver. 4.00 now Available for Download ! (1)Zone and Wide/Tracking modes for effortless capture of moving subjects The AF System complements the fast and accurate 49-single-point autofocus system with new Zone and Wide/Tracking modes, which use 77 autofocus points across a wider area to substantially improve the camera’s ability to capture moving subjects. (2)Improvement of AF accuracy Single-point AF divides the focus area into smaller sections to more accurately determine the distance to the subject for even greater focusing accuracy. The built-in phase detection pixels have the detection range of 0.5EV, an improvement from the previous 2.5EV, delivering phase detection AF performance that enables fast focusing in low-light conditions and on low- contrast subjects. (3)Eye detection AF The firmware update provides Fujifilm’s Eye Detection AF, which automatically detects and focuses on human eyes.The function allows you to easily focus on the eyes even in difficult conditions. (5)AF improvement in the Movie mode The optimized algorithm delivers a more natural and smooth AF action during movie recording. (1)Improved Shutter Speed Dial operation When the Shutter Speed Dial is set to T and the Shutter Type to Mechanical + Electronic, you can use the command dial to set a full range of exposure times from 30-1/32000sec. Previously, this was limited to 30-2 seconds. This is particularly useful when shooting in the portrait orientation with the Vertical Battery Grip VG-XT1 attached. (2)Exposure Compensation control in Manual You can use the Exposure Compensation dial to make exposure adjustments while shooting in the Manual exposure mode with the ISO Auto setting. (3)Finer lines on the framing grid enhances visibility The lines on the framing grid, which you can choose to display in the Screen Set-Up menu, have been made finer making it easier to view the subject. (4)Name of Silent mode changed to avoid confusion The Silent Mode has been renamed to “SOUND & FLASH OFF” . Next Next post: Confirmed: Nikon 500mm f/4, 600mm f/4, 16-80mm f/2.8-4G VR Lenses to be Announced Soon !